Last Saturday night, Peel Thunder took part in ‘Up All Night’ to raise money for Ronald McDonald House Charities Western Australia. Walking in an overnight marathon wasn’t easy, but it’s nothing compared to being the parent of a sick child. Every day, families from across WA come to Perth so that their child can emergency medical treatment. Ronald McDonald House is their Home Away From Home during the most difficult time of their lives. Peel Thunder’s team comprised of: CEO – John Ditchburn, Commercial Operations Manager – Mel Verdoes, Membership Officer – Lisa Hicks, Accounts Manager – Helen Douglas, Vice President – Renee Hardman, Directors – Chris Fairman and Brad Dean. “We made it, that was a very hard walk but definitely feeling proud right now for doing the walk and raising money for such a great cause,” said Thunder Director Chris Fairman. “That was epic!! 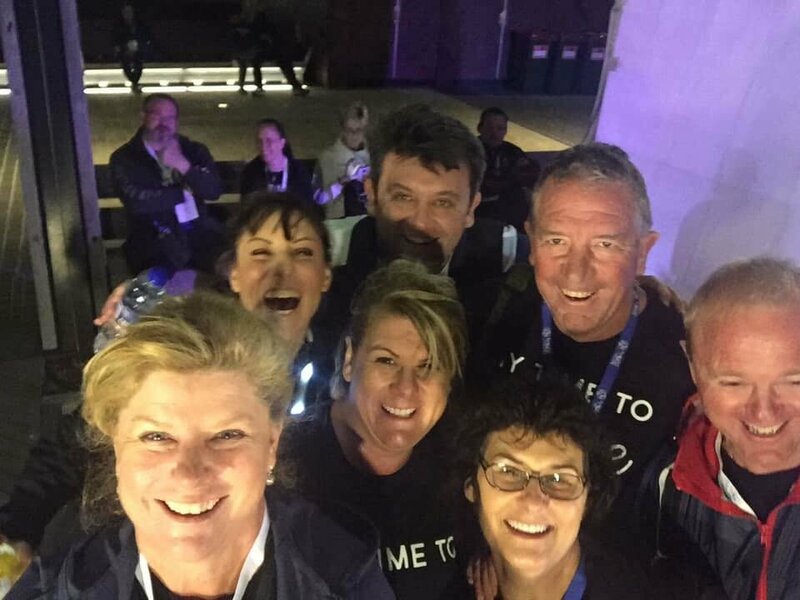 Super proud to say I walked 42km for Ronald McDonald Charities and shared the journey with my very special colleagues. We are all slightly buckled but very happy at the same time,” said Thunder Operations Manager Mel Verdoes. By supporting the ‘Up All Night’ walk for Ronald McDonald House Perth and other Club events, Peel Thunder Football Club would of contributed over $25,000 to Ronald McDonald House Perth this Season alone. The Club would also like to thank Zen Body Massage and Seashells Mandurah.